Brain training helps soldiers learn how to regulate emotions during combat training, according to an Israeli study. The researchers trialled 'neurofeedback training' in 180 recruits undergoing stressful military combat training. 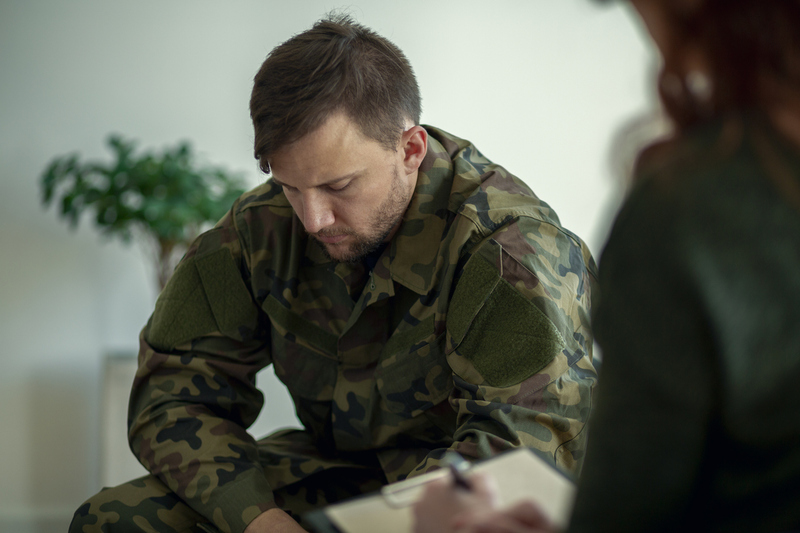 The researchers say this training gives soldiers tools to deal with stressful situations and may prevent them from developing psychiatric disorders like posttraumatic stress disorder. Military recruits who were trained to change their own brain activity through neurofeedback protocol showed reduced alexithymia, a condition marked by a lack of emotional awareness in a clinical trial involving 180 participants published this week in Nature Human Behaviour. Jackob Keynan, Talma Hendler and colleagues report a clinical trial implementing a recent electro-encephalogram (EEG) based neurofeedback routine designed to target brain activity in the amygdala, which is a region known to be involved in emotional processing. The equipment used to monitor EEG in neurofeedback is more scalable, portable and costs less than fMRI. The authors randomly assigned 180 recruits undergoing stressful military combat training to one of three groups. The experimental group received six EEG-based neurofeedback sessions targeting amygdala activity, while another 45 recruits received EEG-based neurofeedback training that did not target the amygdala and served as a closely matched control. The final 45 recruits received no neurofeedback. The authors found that only the amygdala-targeting neurofeedback training sessions led to reduced alexithymia. The authors suggest that their findings may pave the way for real-world applications to protect individuals from developing stress-related disturbances.